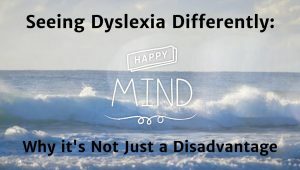 Clinical psychologist Chris Mackey discusses why conditions such as dyslexia, bi-polar disorder and autism are not just a disadvantage. There are many famous people throughout history who had dyslexia, such as Albert Einstein, Isaac Newton and Leonardo Da Vinci. This clip was taken from series 2, episode 12 of Destination Happiness.